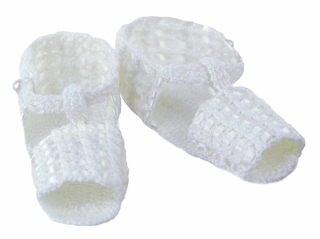 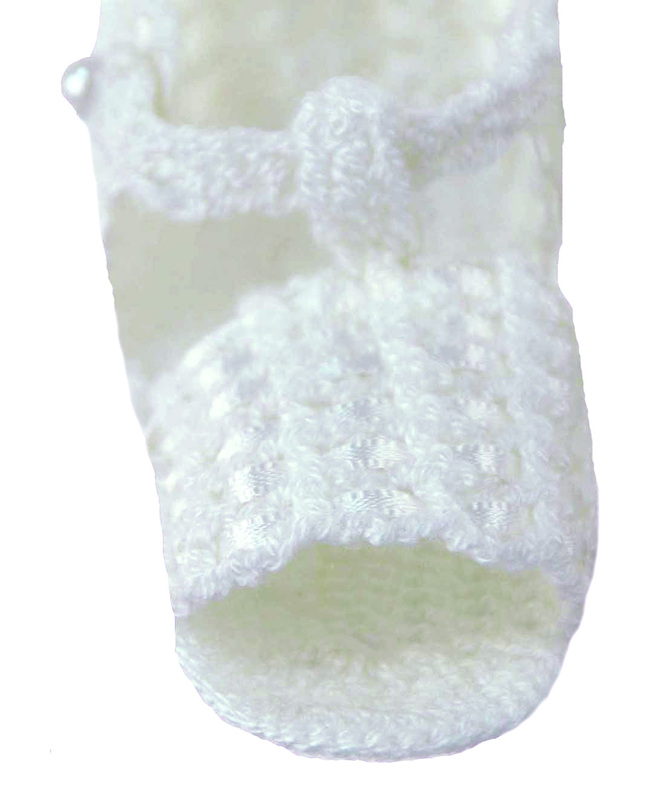 These are the sweetest little cotton knit booties booties! 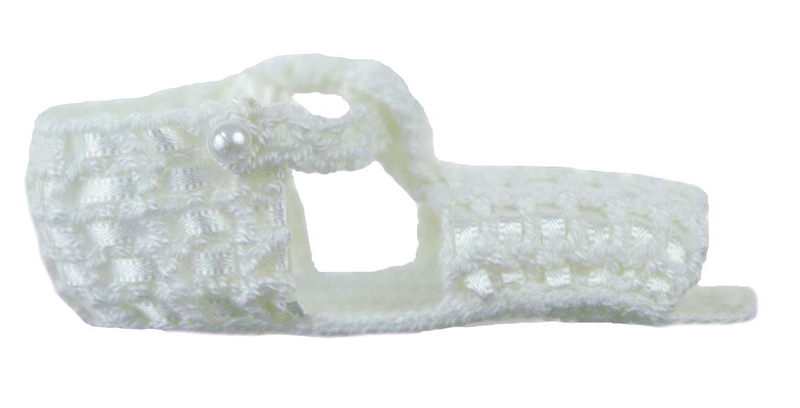 The white sandal style booties feature white ribbon insertion, open toes, and a little knit strap that buttons at the ankle with a pearl button. Perfect for your baby's christening, a baby shower gift or a newborn baby gift!